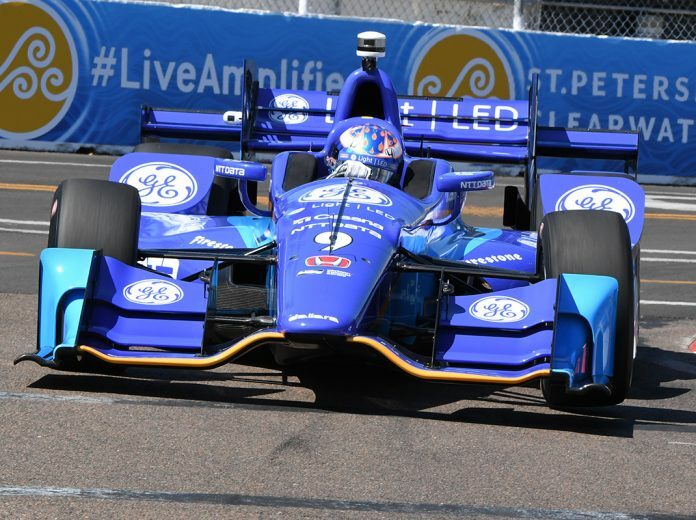 ST. PETERSBURG, Fla. – Fast on Friday doesn’t guarantee success on Sunday, but for four-time Verizon IndyCar Series champion Scott Dixon and his team’s return to Honda, it’s a great start to the first race weekend of the season. Dixon was the fastest driver in Friday’s second practice session as the four-time Verizon IndyCar Series champion ran a quick lap of 1:02.5591 around the 1.8-mile, 14-turn street course. That equates into an average speed of 103.582 mph. Dixon has never won the Firestone Grand Prix of St. Petersburg and has finished second there three times. “Winning is definitely the goal and it has been since 2005,” said Dixon, who returns to Honda after Chip Ganassi Racing spent 2014-2016 with Chevrolet. “It started generally well and we’ve done some good homework with the car. Turn three of the 1.8-mile, 14-turn temporary street circuit for the Firestone Grand Prix of St. Petersburg was reconfigured over night. The corner has been a fast, sweeping right-hand turn in recent years, but IndyCar officials, in conjunction with Green Savoree Racing Promotions, decided to make modifications after several cars competing in Thursday’s support series practices crested a bump and lost control in the ensuing depression. Approximately 180 feet of wall on the drivers’ left side has been moved back almost 40 feet. On the right side, curbing has been installed, which changes the apex and makes the corner a slower, traditional braking area.